I am linking up with Eat Pray Run DC, You Signed Up for What?! and Mar on the Run for the Friday Five Linkup. Every Friday they have a linkup for bloggers to Link up a post about 5 things or write on their theme. 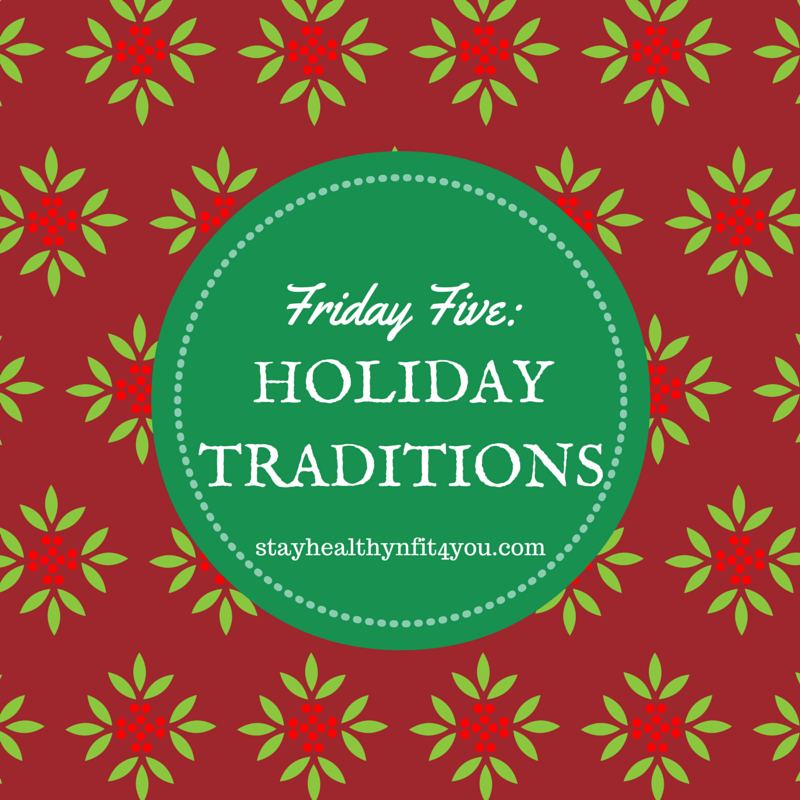 This week’s Friday Five theme is Holiday traditions. Here are five traditions we follow in our household. 1. 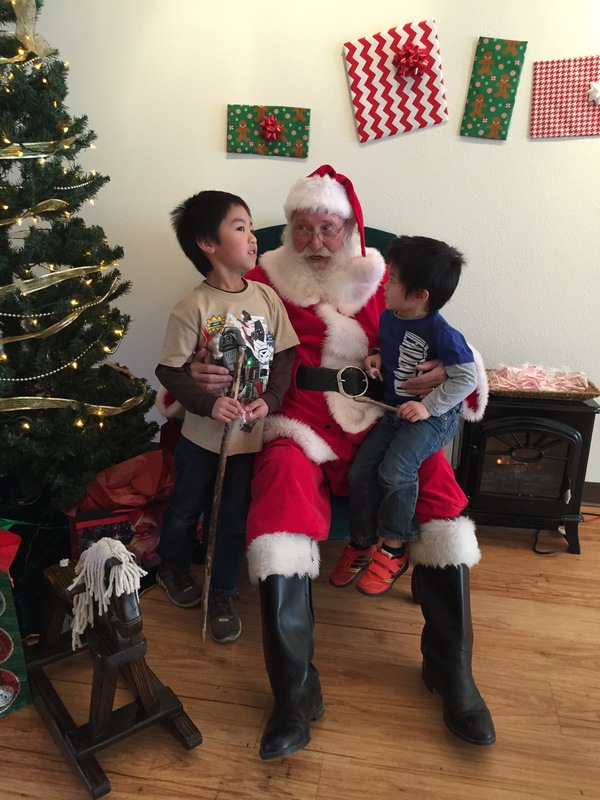 Visit Santa. Each year we visit Santa at least once. There are times when the boys want to see him and other times when they don’t. I manage to get a picture each year with Santa whether at the mall or elsewhere. 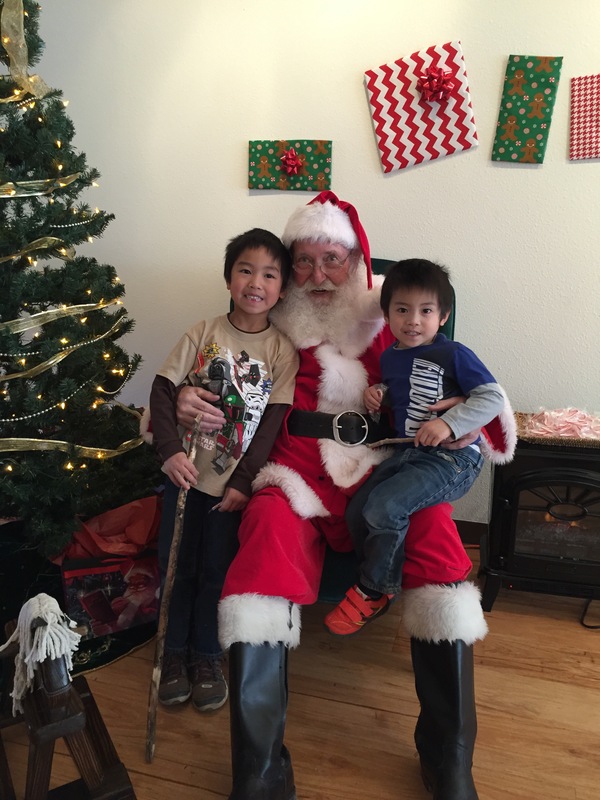 Here are pics of the boys with Santa in Manitou Springs. 2. Make a gingerbread house. This is also one of my favorite winter activities. The kids love decorating their gingerbread house. Here is this year’s SpongeBob House. 4. Bake cookies on Christmas Eve for Santa. We always have cookies ready for Santa. Santa loves cookies :P.
5. Gift exchange for all the kids in our extended family. Lastly, we do a gift exchange for all the kiddos. Names are drawn and each cousin gets to give one gift to one of their cousins. It makes things easy to focus on one kiddo and a bit easier on the budget. 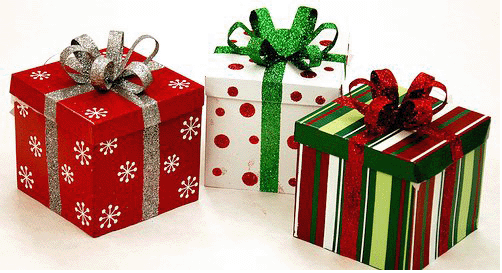 What Holiday traditions do you have? Great traditions. I have heard so many things about the elf on the shelf. I have no children so I don’t have one, but I think it’s such a cute idea. Lol, Perry, our elf, almost forgot to move last night. Elf on the shelf has not yet come to France but I find that a really fun idea for kids ! I love baking with my kids also, they enjoy it so much. Have a great holiday. I cannot believe the popularity of Elf on the Shelf. That little elf has done some amazing things too as I go through my FB feed each morning and see the latest antics. Fun family traditions!! I don’t have kids so don’t quite get Elf on the Shelf but he seems pretty popular! Thanks Mar! It seems to be getting more popular each year. Lol, that’s a great Elf name! I love the gingerbread house, Sherry! Precious! I love the gingerbread house tradition! (Sponge Bob, grin) My mom and I did try one year I think, with a kit, but it might have been a bit more complex than we thought as I don’t remember it going well. Maybe you have to do the whole thing from scratch. Of course, I don’t even like to make gingerbread men, no patience to roll out and cut the dough – I just make gingerbread drop cookies. Nice list of holiday traditions – Perry the Elf is quite the athlete! Happy Holidays to you and your fam. Thanks Jennifer! Perry is pretty athletic :). Happy Holidays to you too!! 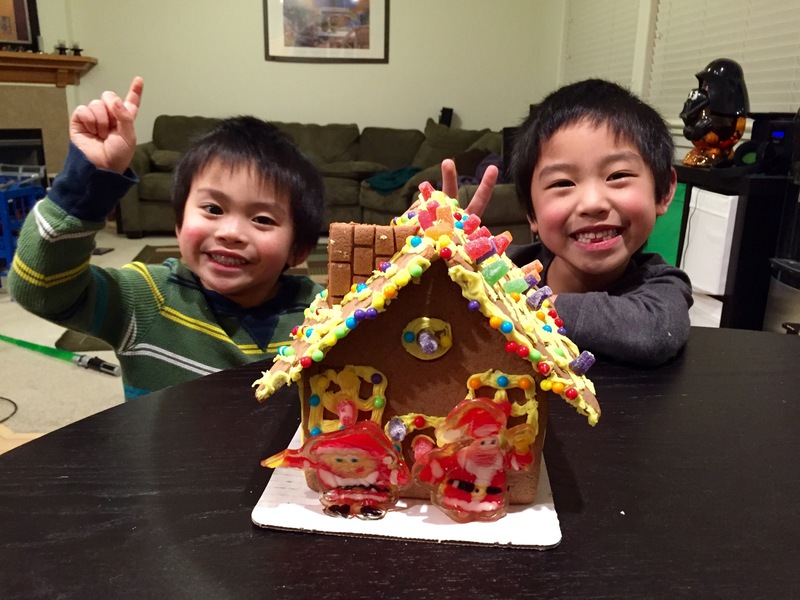 Love the picture of the boys with their Sponge Bob gingerbread house and the one with Santa! I never heard about Elf on the Shelf until last year. Seems the kids really like it. Have Happy Holidays Sherry!